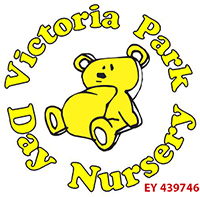 Welcome to Victoria Park Day Nursery! Follow us on Twitter for regualr updates! The Parent's area is where you will find Term Dates, a link to make payments, view important notices and view the events calendar. The Documents area is where you will find our Ofsted report, and view/download our policies. The Nursery Information area is the place to find our opening hours, fees & admissions, location and Staff details. We also have details of local community events happening in Victoria Park.